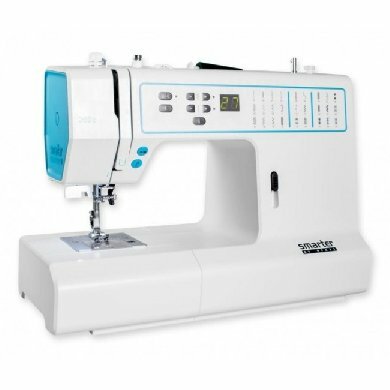 Stitch Creator™ feature: Create new 9mm stitches or edit built-in stitches for unlimited creativity. 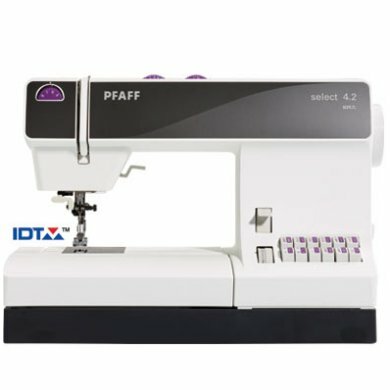 The Original IDT™ system: Integrated Dual Feed only from PFAFF® for over 45 years! 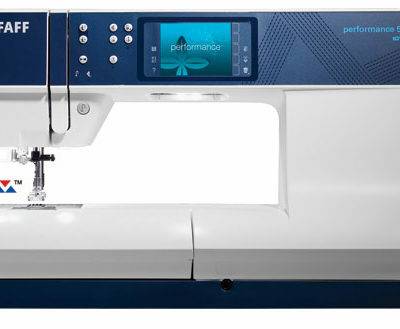 INCREASED EMBROIDERY SPEED**: The creative™ 4.5 can embroider faster than ever before. UNIQUE NEW PFAFF® SEWING TECHNIQUES: Developed exclusively for PFAFF® sewing and embroidery machines, these unique stitches will expand your creative potential. Patent pending. NEW COLOR TOUCH SCREEN: The wide viewing angle ensures great visibility from all angles. The intuitive layout is easy to understand. 480 STITCHES: Including a wide variety of 9mm decorative stitches and Maxi Stitches up to 48mm wide. Combine and/or edit your stitches for even more creativity. PFAFF® ACCESSORIES: 11 different presser feet included for all of your basic needs and many optional accessories from the PFAFF® original presser foot system available to expand the sewing experience.